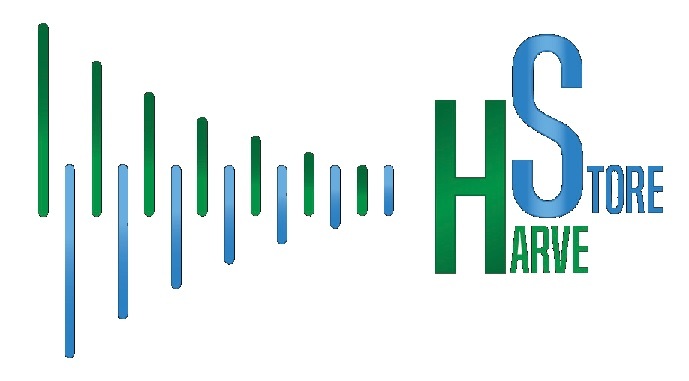 Learn about our energy FET Proactive projects: HarveStore and eMagic. 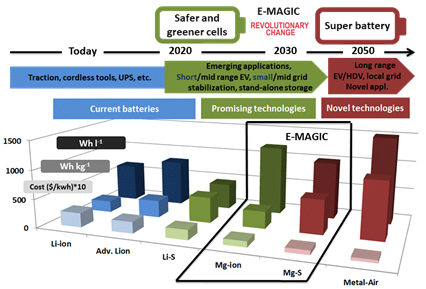 E-MAGIC is a four year (2019-2022) FET Proactive project that sought for a practical Rechargeable Magnesium Batteries (RMB) as a cutting-edge high-risk / high-reward research and innovation that aims at demonstrating a new technological paradigm within the scope of Disruptive micro-energy and storage technologies (H2020-FETPROACT-2018-01). As recognized, energy storage is a key technology to facilitate the widespread integration of intermittent renewable energy sources in power grids, ensuring continuity in the energy supply in a balanced and efficient way. In this field, Mg-based battery technologies have been recognized as a long-term (+10 years) emerging technology for electrochemical energy storage. The potential to use metallic Mg anodes in rechargeable batteries brings important advantages in terms of energy density, cost and safety. In that sense, the RMB constitutes a paradigmatic example of such promising, alternative non-Li energy storage systems. E-MAGIC consortium addresses this potential by developing RMB focused on Mg-ion (insertion) and Mg-S (conversion) technologies. In this sense, E-MAGIC aims at delivering a safe RMB with energy density of 400 Wh kg-1 at 100 €/Kwh, as well as at pushing European battery activities to the forefront worldwide by further developing novel emerging battery technologies based on magnesium. Mg-batteries must be effectively rechargeable to be sustainable and cost-effective when implemented. The emerging reversible insertion or conversion Mg-based battery technologies have its own limitations preventing it from having a significant impact. The core limitation and main barrier is the development of a common electrolyte solution for both the anode and the cathode. The electrolyte system should enable high efficient Mg-metal plating/stripping and at the same time be harmless and suit the operating conditions required for the insertion and conversion cathode materials. E-MAGIC proposes a series of scientific initiatives that could help to overcome the current gaps and limitations of RMB with respect to materials performance, modelling, lifecycle testing, and degradation analysis. E-MAGIC objectives are supported along the project life by a reinforcement of the European magnesium community. This community, led by CIDETEC Energy Storage, gathers some the highest qualified European chemists, physicists, computer scientists, applied mathematicians, environmental and energy management engineers. The E-MAGIC consortium brings together main actors in battery development at all levels: academic scientists with diverse experimental and modelling expertise, technology transfer oriented institutions which are used to develop up scaling methods and prototype building, which grants true interdisciplinary collaboration. E-MAGIC activities naturally induce structuring of the magnesium community through the involvement of additional stakeholders who transform the scientific outcomes of the project into innovative products, applications and services all along the European Mg value chain. The main benefits of this structuring yet explorative approach are emerging research on battery area that is not yet ready for inclusion in industry research roadmaps, and building up new interdisciplinary research community. It makes the step from collaborations between a small group of European researchers, to larger worldwide collaborations addressing various aspects of a novel research theme to jointly explore possibilities for long-term implications of future technologies that matter.